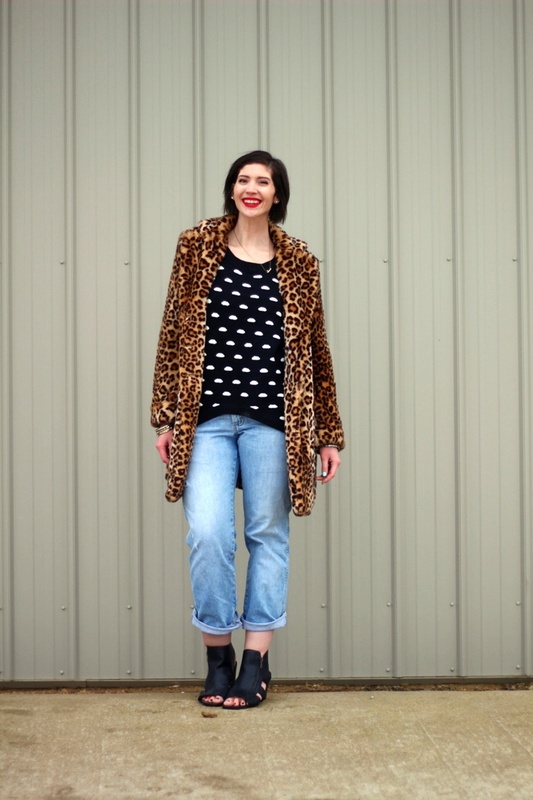 At thredUP, we’re all about mixing and matching like-new treasures and giving pre-loved clothes new life. We believe in thinking secondhand first, since doing so lessens the impact on the environment and gives us the chance to create a totally unique personal style. Take a look at 20 of our favorite thrifting blogs, and get inspired to fashion your own like-new looks. A longtime favorite, Chic on the Cheap has inspired our secondhand style since 2008. 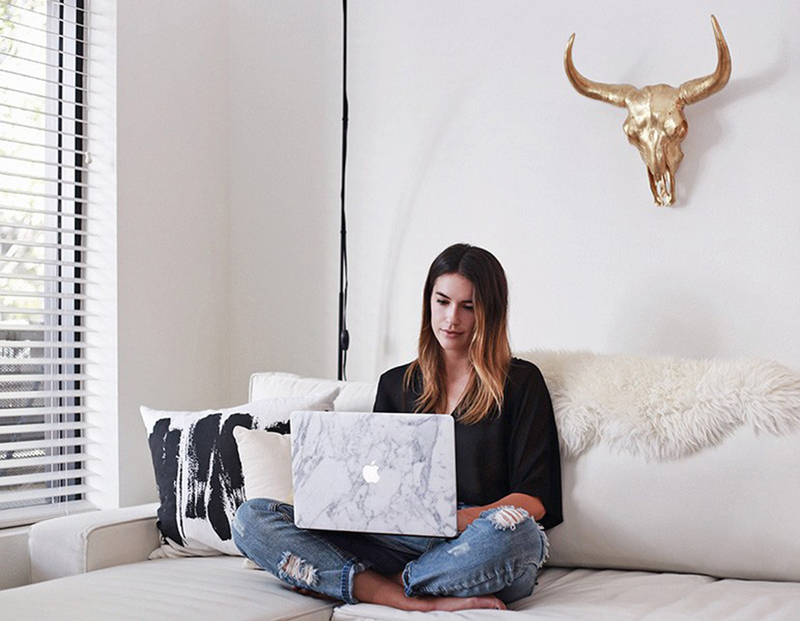 Lydia was originally inspired to launch this blog after finding a designer piece at an unbelievable price. Almost a decade later, she’s still showing readers how to score great finds on a budget, especially when it comes to looking fabulous after work or on the weekend. Chic on the Cheap’s seasonal posts will inspire you to thrift your heart out as you revamp your wardrobe for the upcoming season. Lydia’s posts on re-wearing wardrobe staples will open your eyes to new ways to get more wears out of your favorite items. We also love the blog’s Friday Five Under $50 series, which highlights affordable purchases that will give your wardrobe a welcome boost. 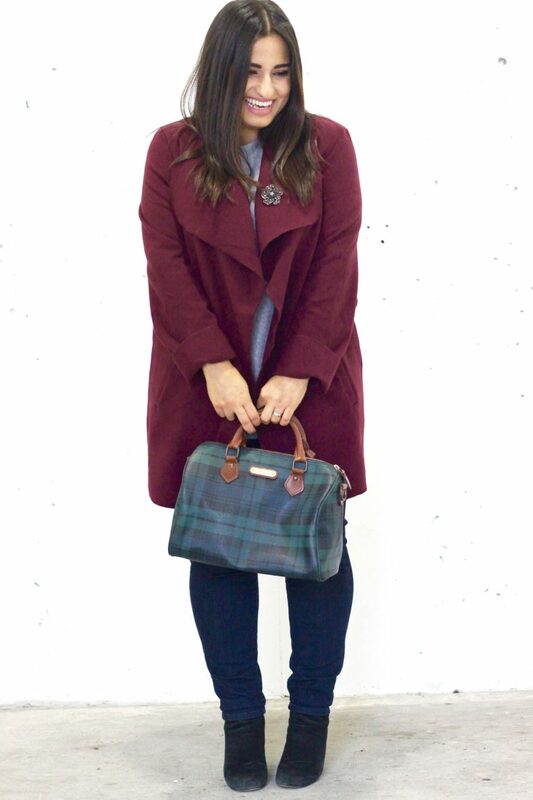 There’s no question that Dina, the blogger behind Dina’s Days, is a true thrifter. She clearly loves the thrill of the secondhand hunt, and she’s been sharing her amazing pre-loved finds on Dina’s Days since 2009. Nearly 95% of her wardrobe is composed of like-new items, so she’s certainly mastered the art of thinking secondhand first. Dina makes it her mission to show us just how invaluable wardrobe essentials are. Her 12 Months of Thrifting series focuses on a different basic each month. Follow along to learn how to restyle white T-shirts, neutral cashmere sweaters, and cross-body bags and make them look new in each season. In addition to nailing the style aspect of secondhand shopping, Dina’s Days also highlights the eco-friendly component of our favorite hobby. Some secondhand shoppers prefer browsing through curated racks of clothes, but bloggers like Christina of Tales From the Thrift prefer to search out rare secondhand treasures. Christina has been searching for great deals for as long as she can remember, but moving to New York City prompted her to take her thrifting game to a new level. Christina brilliantly combines like-new scores with designer pieces and clearance items. Check out how she mixes and matches statement pieces with basics, and borrow some of her ideas as you create your own stylish outfits. Don’t miss posts like Blush + Burgundy, which show you just how easy it is to put together special-occasion outfits from thrifted finds. If your signature style feels a little tired, you’ll want to head straight over to Katie Like Me for some outfit inspiration. Katie describes herself as professionally overdramatic, and her ensembles boast just enough flair to make a bold statement. Start browsing this blog, and you’ll quickly learn how to dress up your basics with bright flashes of color, interesting textures, and plenty of hats. If you thought brown was boring, you’ll reconsider when you see how skillfully this fashion blogger combines neutral tones with like-new stripes and a pop of color. This is a thrift fashion blog with a twist. Knocked Up Fabulous looks at secondhand shopping from the many perspectives of a mom. April started this blog after giving up on ho-hum clothes during one of her pregnancies, and her site features sections on the various stages of a mom’s life. Browse like-new maternity outfits, check out what to wear in the office, and take a look at pre-loved combinations that couldn’t be easier for moms to wear. If you’re shopping for your own little ones, you’ll especially love April’s section on kid fashion. Some style sites focus solely on the finished product, highlighting a look that you’ll surely want to recreate yourself. Other thrift shopping blogs pull back the curtain and show just what it takes to build a great-looking yet sustainable lifestyle. Refashionista falls under the latter category, and this blog is all about the creation process. Start perusing the archives, and you’ll quickly get sucked in to posts on redecorating your home with secondhand scores and refashioning like-new finds into perfectly fitting ensembles. Refashionista’s Thrift Score Thursday posts stand out as our favorites for a couple of reasons. They reveal how fun it is to find new favorites amongst mountains of pre-loved clothing, and they also help readers understand how to make smart decisions about secondhand quality, price, and value. If you appreciate the occasional splurge while shopping on a budget, this is the blog for you! As a mom, vintage enthusiast, and former librarian, Carrie Anne is one of the most inventive and resourceful bloggers we follow. Her lifestyle blog features everything from fun family adventures to sustainable gardening to a lifelong love of thrifting. Carrie Anne’s irreverent approach to life and ability to overcome obstacles will encourage you to put yourself out there and experiment with secondhand style. Little Big‘s Thrifted Closet series charts Carrie Anne’s goal to build a fantastic wardrobe out of pre-loved gems. If you need a healthy dose of fashion inspiration, check out everything from special-occasion outfit posts to pieces on thrifting maternity clothes to articles on helping kids build their own eclectic closets from like-new items. While you can certainly build contemporary outfits from thrifted finds, some bloggers prefer to rock the vintage aspect of this hobby. Hannah of The Outfit Repeater excels at creating 1980s- and 1990s-inspired outfits from vintage gems. As you peruse her blog, you’ll see everything from graphic tees and jackets to boldly patterned dresses and tops to brightly colored accessories. If you need a gentle nudge to add something different to your wardrobe or developing a thrifting strategy, the Outfit Repeater has tons of great ideas. Follow Hannah’s lead and incorporate fun costume jewelry, unseasonal patterns, or surprising pops of color into your everyday wear. Two Stylish Kays is the blogger on this list that’s produced by a personal shopper who advocates thinking secondhand first. Keren is known as Atlanta’s resident thrift shopping expert, and she even leads monthly events and meetups for locals looking to up their style game. Keren is all about helping clients and readers feel confident and create a personal style that makes them comfortable yet powerful. Both new and experienced shoppers will benefit from Keren’s tried-and-true advice for everything from essential thrifting tips to sorting through gems to cleaning pre-loved finds. We can all agree that browsing for like-new gems is always fun, but it might not be as rewarding as it could be if you aren’t already an enthusiastic shopper. Fortunately, Patrice of Looking Fly on a Dime is here to help. As a self-professed thrift shopping queen, she created Looking Fly on a Dime to help women everywhere get the looks they see on celebrities and in magazines without paying retail prices. She also firmly believes that women of all shapes and sizes should be able to look fabulous on a budget and shares tips for zeroing in on the best finds for your unique style in any thrift shop. Patrice is no stranger to style challenges, either. In her Thrifty Threads 365 series, she didn’t buy a single new item for an entire year. She stuck to a budget of $50 per month, all of which she spent on secondhand items. If you have caviar tastes on a canned tuna budget, you’ll love Thriftanista in the City. Troy, the blogger behind this Southern style site, is a stay-at-home mom who strives to save wherever she can. She opts for quality over quantity, and she almost always thinks secondhand first. Troy also isn’t afraid to add a little DIY into the mix, especially if it stretches her budget and helps her family embrace an eco-friendly lifestyle. Troy isn’t kidding when she says you can typically find her in a thrift store. Thriftanista in the City is a treasure trove of secondhand advice that will help you turn even a little spending money into a serious windfall. Tips about finding the best like-new designer purses are especially helpful, as they steer aspiring fashion stars toward doing thorough research, searching for high-quality accessories, and buying secondhand items online. If you’ve been searching for the intersection between luxury and thrift, you’ll find it on Fashion Steele NYC. Blogger Monroe has showcased her secondhand NYC style here since 2010, and you’ll find everything from thrifting tips to high-fashion finds to lifestyle posts on this sophisticated blog. If you want to get a peek behind the scenes at fashion week events around the globe or a glimpse of global styles outside of organized fashion events, you’ll find both right here. In fact, the travel style articles on Fashion Steele NYC are some of the coolest posts on the blog. 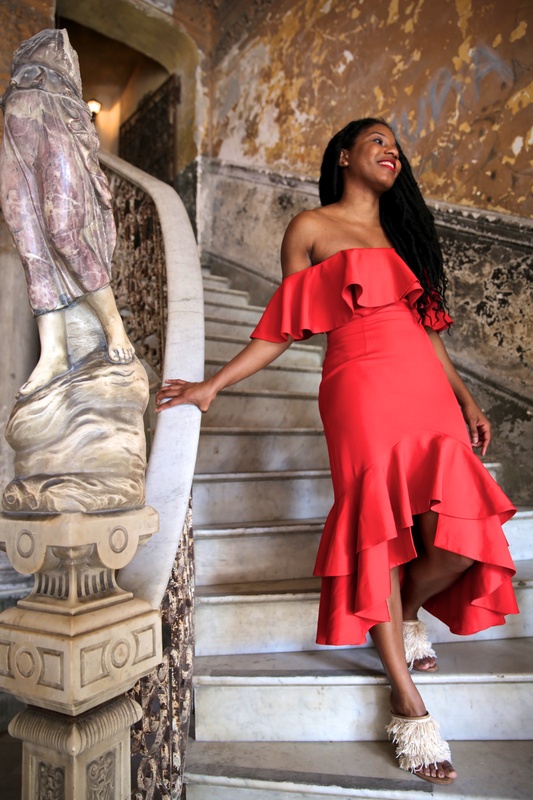 Browse Monroe’s American Girl’s Guide to Cuba post to see for yourself how her sleek, understated city style quickly makes room for a colorful, tropical wardrobe that’s perfect for a dreamy island getaway. As any thrifting queen knows, buying brand-new designer pieces can easily break your budget. But on Thrifts and Threads, Brittany brilliantly shows us how to identify worthwhile investment pieces while balancing out her spending patterns with thrifted pieces. We love how she effortlessly incorporates these high-quality pieces into her wardrobe, easily mixing designer labels with like-new items. Who knew that classic logo T-shirts could be so cool? Thanks to her generous Instagram tips, you can even learn how best to show off your pre-loved finds and turn heads on social media. For a fashion blog that offers a peek into the eternally stylish life of a 30-something Brooklynite, look no further than Keiko Lynn. This blog gives you a fun glimpse into Keiko’s life with her adorable dog and her boyfriend, who is also a fashion blogger. Her makeup tutorials show you the perfect technique for achieving that elusive smoky eye, and her travel posts will make you want to pack your bags and hit the road right away. But it’s her fashion-focused posts that really hit the mark. If shopping is your favorite pastime, you’ll appreciate Green & Gorgeous, which is penned by a self-described recovering shopaholic. Since Jennae is also a graphic designer with a particular interest in sustainability, thrift shopping is the perfect solution. After all, searching for like-new treasures checks all the boxes. It’s eco-friendly, it allows you to browse on a budget, and it enables you to insert some creativity into your wardrobe. As a dedicated consignment and thrift store shopper, Jennae shares her best scores and her most high-value finds. She keeps things honest on Green & Gorgeous, which means she also tackles tough topics like the challenges of finding plus-size secondhand clothing and the struggles of keeping her family’s lifestyle as green as possible. Since 2011, Whitney has charted her personal style journey through her blog, Whitney Nic James. Over the years, she’s embraced thrift store shopping, even though you might not guess the source of her wardrobe after just a quick glance. In all of her posts, Whitney aims to show professional women that they don’t have to overspend in order to look great or achieve success. If your personal style needs a confidence boost, you might be in luck, especially if you live in the Baltimore, Maryland, or Washington, D.C., areas. Check Whitney Nic James for information about thrifting meetups, where you could get the push you need to go in a fashionable direction. 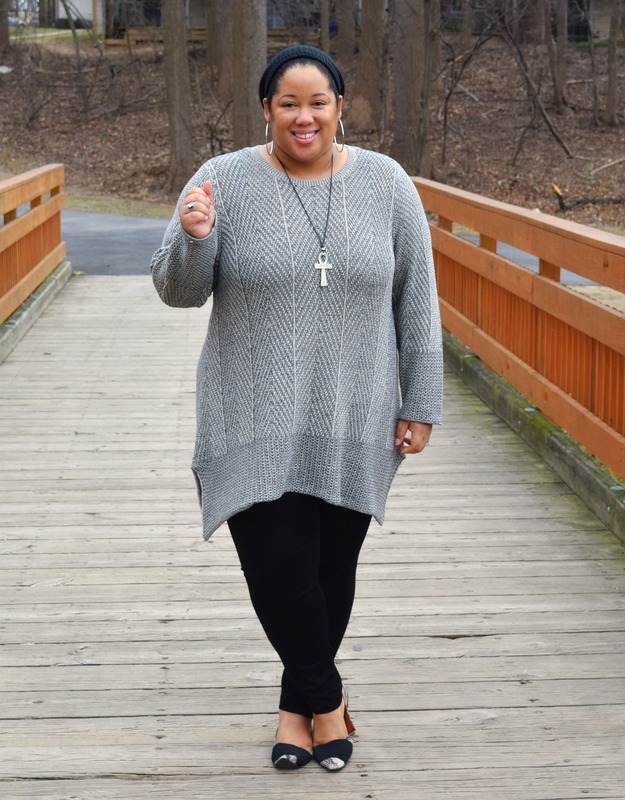 If you’re worried that work and family life will prevent you from finding the time to build a wardrobe with like-new finds, Thrifting Diva is out to prove you wrong. 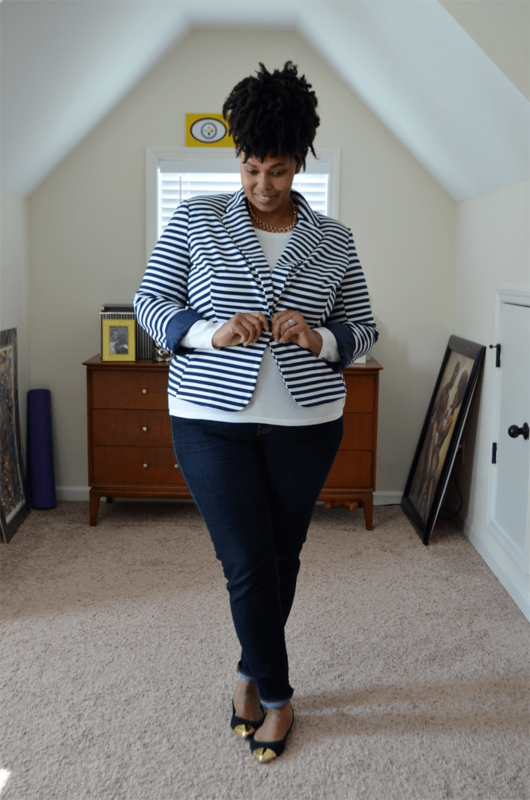 Ayana may be a secondhand style expert, but she’s also an attorney, a mother, and a wife. Pre-loved clothes make up about 80% of her wardrobe, and she strikes a beautiful balance between wearing timeless classics and rocking the latest styles, all on a limited budget. You’ll learn about Ayana’s inspiration for her outfit, find out where she got each item, and learn how much she paid for it so you have the building blocks to create your own like-new outfits. A self-described thrift ninja, ThriftDee writes from the perspective of a suburban housewife. DeeAnna loves seeking out treasure, and she challenges herself to find value in the items that others have discarded. From clothing and footwear to furniture and housewares, DeeAnna is a true thrifting professional. When it comes to like-new clothing, ThriftDee excels at zeroing in on designer labels. Her posts on thrift hauls highlight the value you can score when you think secondhand first, and they just might prompt you to take your thrifting strategy up a notch. The blogger behind Just Jewels 4 U is a self-described empty nester, but her updated classic looks are ideal for style queens of any age. Her goal to have fun without spending too much money comes through in every fashionable post. As you browse Just Jewels 4 U, you might see a few neutrals and pairs of jeans here and there, but what will really catch your eye is this blogger’s amazing collection of dresses. Just Jewels 4 U also hosts style challenges that inspire other bloggers to devise new outfits or explore the possibilities that certain types of clothing hold. After perusing this blog, you might even be moved to join in! 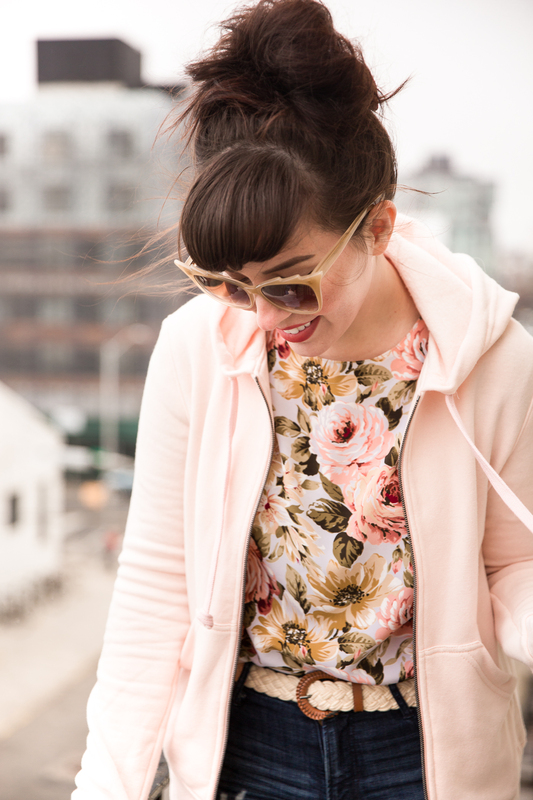 It’s no surprise that Eli, the blogger behind Thrift Eye, is a librarian. After all, each post boasts a careful catalog of each clothing item she wears, along with a brief description of where she found it and where it was made. This level of detail is helpful for both beginning and veteran thrifters alike, since you can easily identify secondhand items and understand how this self-professed clothing collector seamlessly incorporates like-new clothing with sale items. On Thrift Eye, Eli excels at rocking neutral items with signature pops of color. She takes khaki dresses to the next level with red peep-toe heels, tones down bold blue dresses with monotone heels and tights, and turns heads with graphic tees. Check out her 2016 moments roundup to get a taste of her whimsical style and enviable ability to create sustainable outfits that knock our socks off. Comment below to let us know if there are any other thrifting blogs we should check out! BE BOLD. BE BRAVE. BE BADASS.